I climbed aboard an impeccably polished historical wooden boat that was located in what looked like a postcard of Amsterdam. 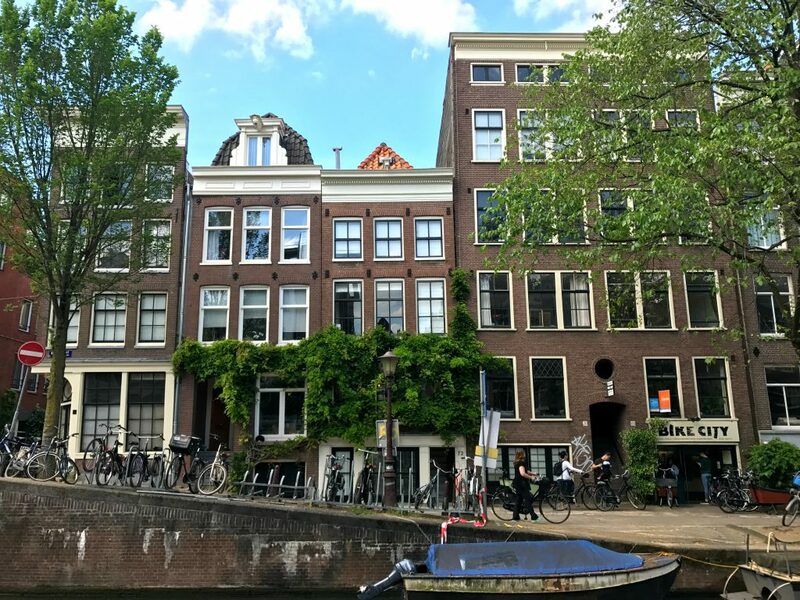 It was a picture-perfect Spring day and the crisp blue sky was a stark contrast behind bridges filled with vibrant overflowing flower-filled railing planters, casual cool Dutch bikers, and iconic canal houses. I was immediately greeted with a crisp glass of champagne as I made my way to the back of the boat where I discovered blue velvet bench seats and endless views. 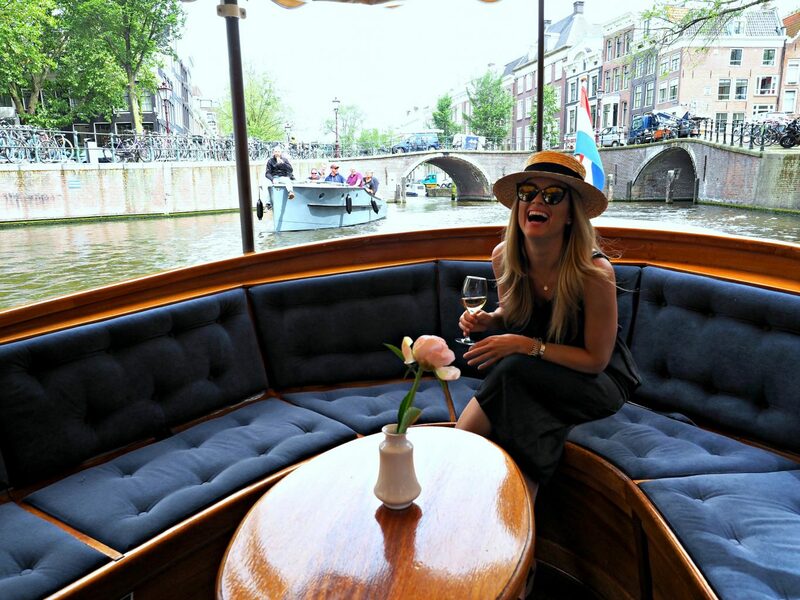 I casually sat down, slowly sipping my champagne, as we departed into the canals amongst fellow boaters on this perfect day. Inside the boat Chef Casimir Evens from NH Collections was diligently working on a five-star lunch comprising of perfectly cooked mackerel atop flavorful quinoa, succulent pork belly with local white asparagus, and a refreshing dessert of strawberries, elderflower and tableside frozen yogurt. 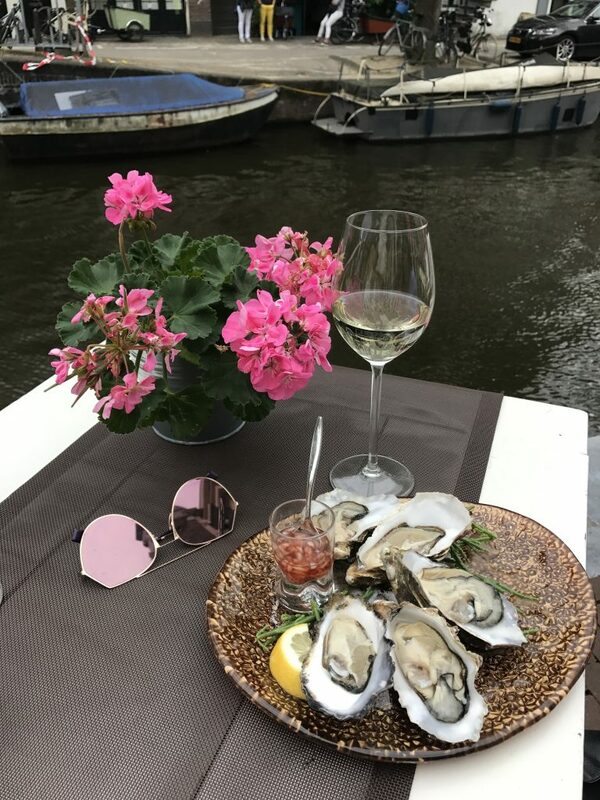 As I sat at my incredibly picturesque table, devouring every ounce of what was on my plate while watching the canals slowly pass by, I couldn’t help but wonder if life could be better than that exact moment. 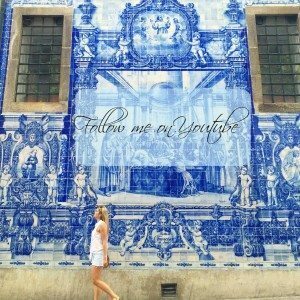 This unbelievably scenic canal city has something for every kind of traveler; whether you’re wanting inexpensive street food like delectable smothered fries, creamy local cheese, trendy yet affordable cuisine, or once in a lifetime Michelin star food. 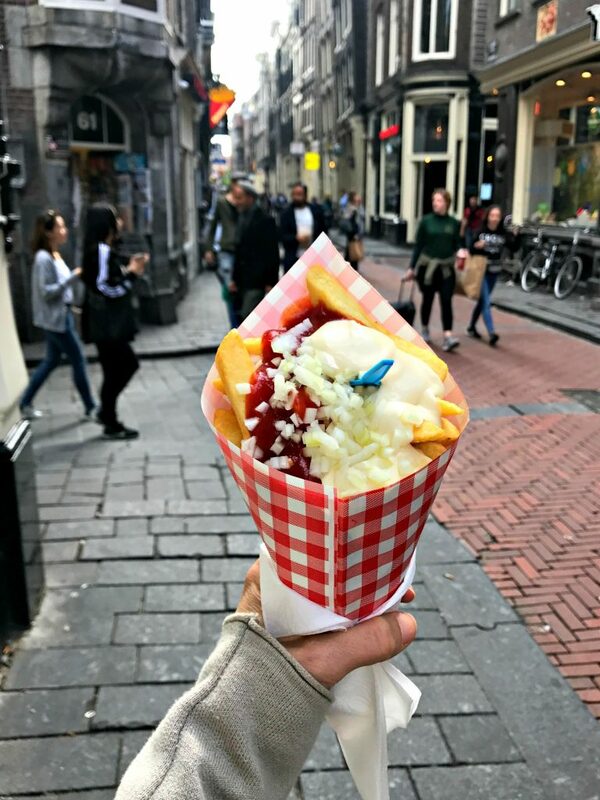 In Amsterdam, the options are endless. The moment I sat down to my perfectly set minimalistic table at Vermeer in NH Collections Barbizon Palace I knew I was somewhere special. A single purple allium in a stark white bud vase was all the décor needed with the walls behind already looking like a one of a kind art installation. An interminable line of affable waiters perfectly in sync emerged from the kitchen and presented to us one the most incredible meals of my life prepared by Chef Chris Naylor. With each course coming and going, my anticipation for what was next grew. 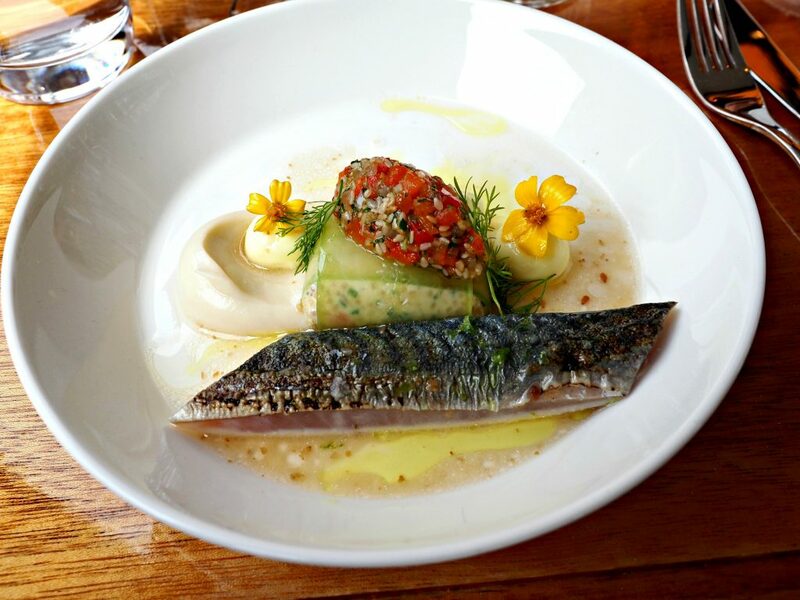 Six incredibly mouthwatering courses of rhubarb rosemary sorbet, slightly seared mackerel, succulent scallop baked in pastry, roasted white asparagus, perfectly cooked beef tenderloin, and a creamy dessert of your dreams satiated every ounce of my being. 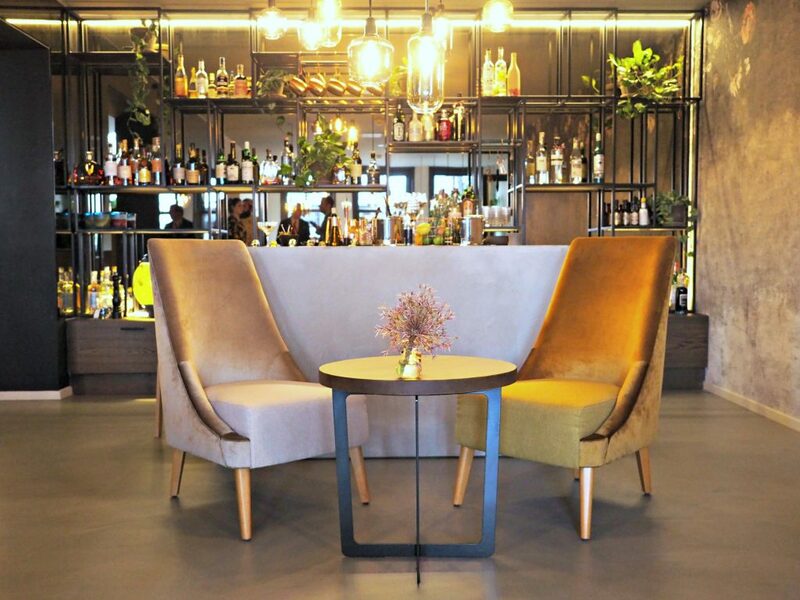 With the focus of the restaurant only using seasonal ingredients and primarily what they grow on their rooftop garden, you’re guaranteed the meal of your life at Vermeer. 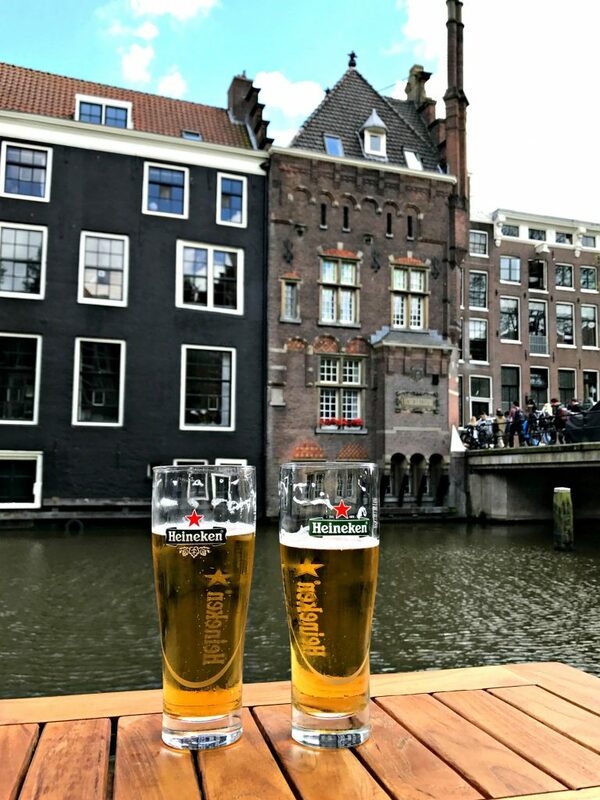 I spent my days wandering around each charming cobblestone lined canal street, only veering off to get lost in the vibrant flower market overflowing with freshly cut tulips, ducking into a filled to the brim local cheese shop, or to have a lazy lunch of incredibly fresh oysters and a crisp beer by the canal. Amsterdam is an enigma in the most incredible way possible. It’s a destination where beauty, architecture, food, and sin live in perfect harmony. I found myself never wanting to depart, making up scenarios in my mind to justify staying forever to my family and friends back home. 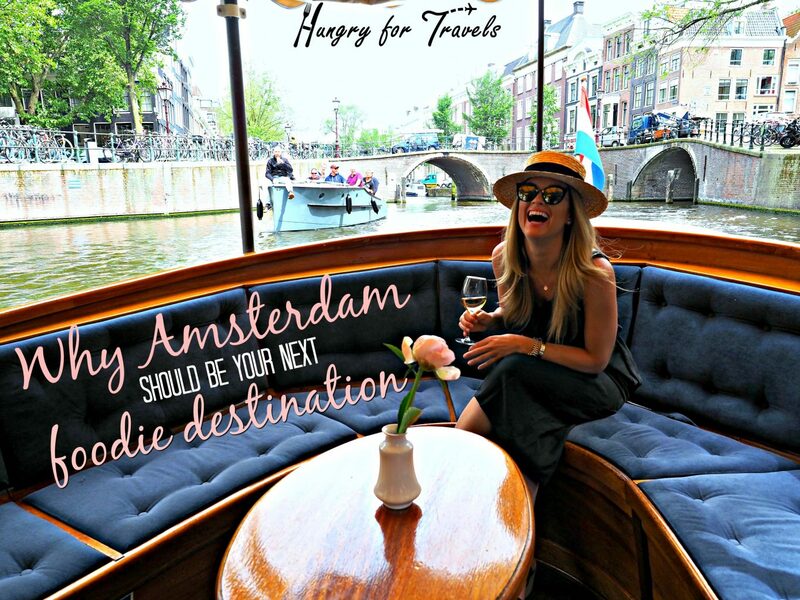 I wasn’t ready to leave the beauty of the canals, the welcoming Dutch people, and most importantly the top-notch food scene which seems to be growing by the day. 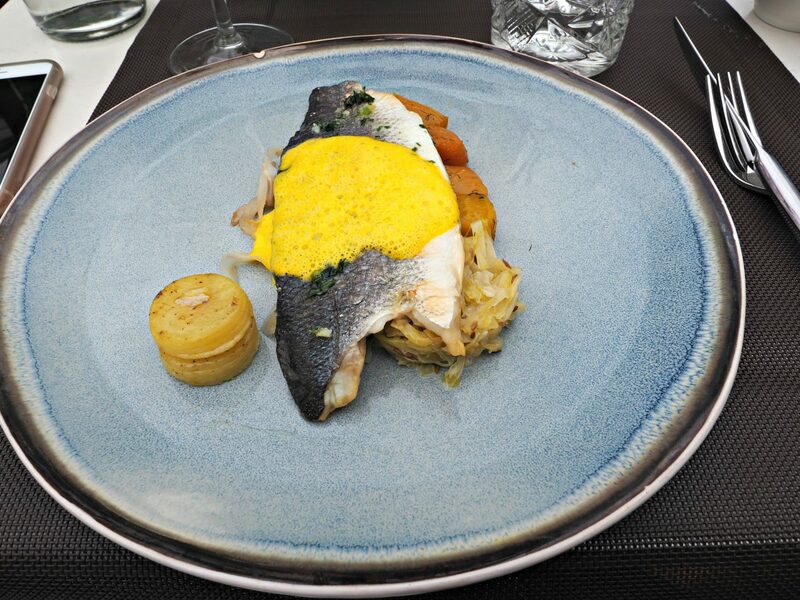 Most people aren’t aware of what the Dutch cuisine entails, but with as many restaurants popping up they will soon. I’ll be back again to this incredible city soon ready to embrace the Dutch way of life with its luscious food and accommodations.